December 22 holds a special significance in Indian calendar. It is celebrated as National Mathematics day in our country. Ever wondered why? It marks the birth anniversary of one of the greatest mathematicians of all times. 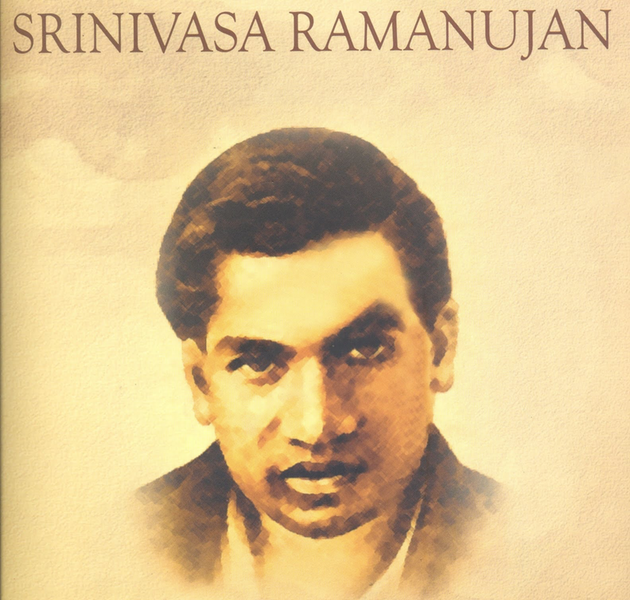 This is Srinivasa Ramanujan, a genius whose brilliance caught the attention of the world. His contributions have etched his name in golden words in the history of mathematics. Let us unravel the making of this extraordinary mind that helped Ramaujan scale peaks of glory in his short lifespan. Srinivasa Ramanujan was born in Erode, Madras Presidency on 22nd December 1887, at 18.20 (IST) in the house of his maternal grandparents. Born in a conservative South Indian family in South India, Ramanujan excelled in mathematics at an early age. The 5th house denotes intelligence, intuition, sagacity and merits acquired out of good deeds of previous births. In Ramanujan`s chart, the Lord of 5, Venus is placed in the 5th, in its own house with 5 bindus in its Ashtakavarga (BAV Chart).The moon (Karaka of mind) is placed in the 10th, receiving the benign aspect of 10th Lord Jupiter and the 11th Lord Mars.The Dasamsa (D-10) chart of Srinivasa Ramanujan looks particularly impressive with all the benefics in quadrants and the nodes sharing 5/11 axis. When Mercury and Jupiter are conjunct one becomes eloquent, learned, amiable, handsome and wealthy, well versed in arts and sciences and is virtuous. According to Prof. Suryanarain Rao, “5th house is the house of intelligence, Lord of Education is Jupiter and the Lord of Intelligence is Mercury. Wherever there is a conjunction of Mercury and Jupiter in the horoscope, there will be both education and intelligence. There is always a wide gulf between the two, Vidya and Buddhi. The real Vidya, of course comprises intelligence.Sometimes we see men are highly educated but betraying want of equal intelligence. Their heads will be full of booklore or education taught to them by teachers and colleges, but they want intelligence to digest and apply them to other conditions of life. On the other hand some are extremely intelligent but often remain without even the rudiments of education. A happy conjunction of these two will not only make the man, a leader, but will also enable him to do much in a practical way. Genius of course is a different capability and men of real genius are always few and far between (Sarwartha Chintamani, commentary, Page 493). On 16th January 1913, Ramanujan wrote a letter to the eminent British mathematician G.H.Hardy requesting him to publish his theorems, if found valuable. G.H.Hardy detected in Ramanujan, a mathematician of eminence and a man with great originality. G.H.Hardy wrote an encouraging reply and in response to this letter, Ramanujan wrote another letter on 8th February 1913, stating,”I have found a friend in you(Prof. Hardy), who views my labours sympathetically.”Further G.H.Hardy requested Ramanujan to make the acquaintance of Prof.E.H.Neville, who was on a lecture tour to India.In this process, G.H.Hardy had a bigger plan for Ramanujan. He had privately instructed Prof. Neville to bring Ramanujan to England. The next big question arose: Was Ramanujan prepared to leave India and go to England? The moral dilemma that confronted Ramanujan was the view of the orthodoxy of his times who viewed overseas travel as a serious violation of scriptural injunction. Ramanujan was an orthodox Hindu, who obeyed scriptural rules meticulously.For three nights Ramanujan slept near the temple premises adjacent to the Namagiri Thayar Temple in Namakkal (in Tamilnadu)when on the third night, the Goddess appeared in a flash of brilliant light giving the command to bypass the injunction against foreign travel. This was the period in which Ketu Dasha had begun. Ketu, an occult planet could be treated as a representative of Saturn in this chart as it not only occupies Saturn`s house but is fully aspected by Saturn. Saturn in this Chart becomes a benefic by receiving Jupiter`s aspect and by the ownership of the 9th. Retrograde Saturn could give the effects of an exalted planet following Kalidasa`s dictum in Uttara Kalamrita. Nevertheless, Ketu by owning the third star from Janma Star could only give hardships, which is further supported by an important astrological observation that a retrograde planet, could not be supportive of health. In this case Ketu, by following the footsteps of a retrograde Saturn held sinister connotations for Ramanujan`s health. Ramanujan was married to Janaki on 14th July 1909. In transit Mercury in Gemini and Jupiter in Leo were aspecting Ramanujan`s 7th house. This is significant as Mercury is the Lagna Lord and Jupiter is the 7th Lord, both planets closely linked to the house of marriage. Interestingly enough, at the time of marriage Ramanujan was in Mercury Dasha, Jupiter bhukti. The marriage took place amidst inauspicious omens. The wailing of a mentally retarded girl was heard, disrupting the festive atmosphere. A garland supposed to be placed around Ramnujan`s neck fell to the ground and last but not the least, fire broke out in the choultry. It was Thomas Campbell (1777-1844) who wrote in “Lochiel`s Warning”, “Coming events cast their shadow before” in which a wizard foretells the fall of Prince Charlie at the Battle of Culloden, warning Lochiel against going to the battle. Applying Campbell`s wisdom, one can easily conclude that the adverse omens did not portray a rosy picture for Janaki`s married life. On March 15th 1914, S.S.Nevasa, the British India lines ship had reached Madras harbor. It was a brand new ship, weighing 9000 tonnes and designed expressly for the Madras run. Barely an year had elapsed since S.S.Nevasa had been manufactured at the Glasgow Shipyard. At about 10’ O clock on the morning of March 17th 1914, Srinivasa Ramanujan commenced his westward journey aboard S.S.Nevasa. The ship initially sailed to Colombo, Capital of Ceylon (Today`s Sri Lanka), the large island off India`s Southern Coast. On March 19th, the Nevasa resumed its journey, moving towards Aden, which was week`s passage across the Arabian Sea. From there it commenced its 1400 mile passage across the Red Sea, to Port Said in Egypt. From there they travelled to Genoa and then to Marseilles and through the Strait of Gibraltar it went along the Spanish Coast through the Bay of Biscay to reach England on April 14th 1914, in Ketu Dasha, Venus Bhukti and Mercury Anthra – all three planets connected to Ramanujan`s intellectual pursuit. Ramanujan`s insight into algebra and transformation of infinite series astonished G.H.Hardy so much that the latter once remarked, “I have never met his equal and I can compare him only with Euler or Jacobi”. There is an interesting story relating to the number 1729. In Hardy’s words: I remember once going to see him when he was ill at Putney. I had ridden in taxi cab number 1729 and remarked that the number seemed to me rather a dull one and that I hoped it was not an unfavorable omen. “No,” he replied, “it is a very interesting number; it is the smallest number expressible as the sum of two cubes in two different ways.”(The two different ways are these: 1729 = 13 + 123 = 93 + 103). Ramanujan and Hardy as a mathematical team were similar to a pair of men,one blind and the other lame, who individually could achieve nothing but together achieve anything.This simile is attributed to Pennsylvania State University Mathematician, George Andrews, who discovered the Ramanujan`s lost notebook in 1976, wherein Ramanujan had recorded the mathematical discoveries of his life pertaining to the period 1919-1920. On 28th June 1914, the Austrian crown prime Franz Ferdinand visited Sarajevo, Capital of Bosnia, where the Bosnian Serb Militants assassinated him. This triggered the First World War between the Allies (United Kingdom, France and the Russian Empire) and the Central Forces(Germany, Austria and Hungary).More countries joined the war which eventually resulted in the death of over 37 million people across the world, of which nearly two- thirds were people in the military forces. Over two percent of the population of United Kingdom got killed in this war. Certainly Ramanujan was the right man in the wrong place. In 1916, Ramanujan was awarded the degree of Bachelor of Arts(B.A) purely for his mathematical studies. He was elected to the London Mathematical Society in December 1917. In 1918, he was inducted as a Fellow of the Royal Society at an extremely young age of 30 and the same year he became a Fellow of Trinity College of the University of Cambridge. During 1917, Ramanujan was in the sub period of Jupiter in Ketu Dasha while in 1918, he had got into Saturn sub period. Both these planets are related to the tenth house, which denotes advancement in career. –	Moon in a watery sign aspected by Mars, the sixth Lord. –	Lord of Ravi Lagna and Lord of Chandra Lagna(in this case, Jupiter) posited in the sixth house in a watery sign. –	Interchange between fourth Lord and Sixth Lord(4th denotes chest region and its exchange with sixth Lord could indicate some form of lung disease like tuberculosis. In “Poems of Passion”, Ella Wheeler Wilcox(1850-1919) wrote, “Laugh and the World Laughs with you; Weep and you weep Alone”. While Ramanujan in his halcyon days could rub shoulders with geniuses like G.H.Hardy and Littlewood, his last days were spent in seclusion and pain. Ramanujan passed away on 26th April 1920 at Kumbakonam at the start of Venus Dasha, Lord of the Twelfth house. According to Maharishi Jaimini, when in consideration of the Lords of Lagna and 8, one occupies a fixed sign and the other a movable sign (as in Ramanujan`s Chart), medium span of longevity occurs. According to Shri Ganesh Kavi,”The Lifespan of a native will be 32 years if a waning moon and the Lagna Lord are conjunct with the aspect of a malefic in an Apoklima house” (Jataka Alankara, V/12).The above yoga is termed as Dwatrimsa Yoga which gives death exactly at 32. –	Sixth Lord is strong. Of the four planets involved here, atleast is connected to a Maraka house or a Maraka Lord. Dasa Lord that operates is that of a Maraka or Lord of third asterism from Moon. Most of the rules above operate in Ramanujan`s Chart.For example Lagna Lord in the sixth is weak while the sixth Lord in a quadrant is strong.Dasa Lord Venus is a Maraka Lord from Chandra lagna and the twelfth Lord from Lagna. Eighth house is afflicted by Ketu.Though Sun and Moon appear to be strong, they are vitiated by Martian Aspect. There is a saying, “A learned man is childless, poverty stricken or short lived”. In Ramanujan`s case, almost all these negative factors were present. The greatest quality Ramanujan had in him was that he never allowed adverse circumstances to blur his passion for mathematics and this trait alone made him a legend who is remembered to this day as a mathematical genius.